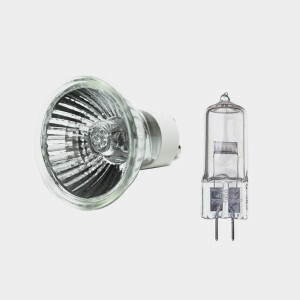 The materials used to make halogen bulbs are non-toxic, so it’s okay to throw these bulbs in the trash. Although they are made of glass, don’t recycle them with glass. Broken glass can injure sanitation workers. Light bulbs are fragile and can break in the trash. Try wrapping them in newspaper and taping everything in place before disposing of the bulb. This extra step can prevent the bulb from breaking in the trash.